And I’m listening. Really making some important changes. Is it easy? No, of course not. The biggest thing I need to do that I haven’t done well at all is to get the body up and moving. Losing weight is important. Especially after menopause, women hang on to their weight as if it were solid gold. It’s solid, all right. Did you know that the prime supply of estrogen after menopause is from belly fat? Sometimes there’s just no justice. All right, here’s the simple explanation. When you pour sugar into your body, the pancreas is supposed to make enough insulin to adequately deal with that sugar, whatever form it comes in. At some point, the pancreas says, “Nope, no more, you’ve worn me out.” This is called insulin resistance. So now you have to take oral medication, or injections. OR, you can get a grip and learn to eat more carefully. You can stir your stumps, take a walk, get on a bike or a treadmill, sweat a little. If you work at it, you can get it under control and ditch the meds. I know. I’m doing it. The more the weight comes off, the more efficiently all your body parts work. You know what I find incredibly sad? 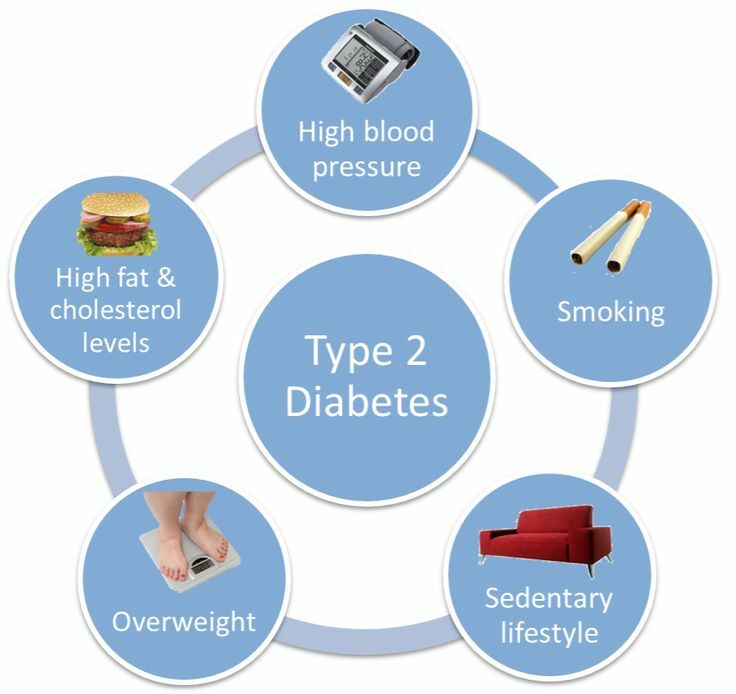 More and more children under 12 are developing Type II. A sedentery lifestyle fueled with fast food, chips, Hostess Twinkies, soda pop, and electronics has turned our kids into medical disasters. We don’t need Michelle O to fix this for us. We need to do what most of us already know to do. Locking up the electronics would be a good starting point. You can read a much more complete description of Type II here. There is a test called the A1C, nasty little test that can tell how much sugar is sticking to your blood cells for the last three months. Your number should be under 6. At my highest, after a winter of vegetating and improper eating, mine went up to 8.9. Very bad. Doc put me on Metformin. I put myself on a product from Plexus Slim that a friend told me about. After three months, A1C went down to 7.5. Doc is ecstatic. Three more months, down to 7.2. Doc still ecstatic. I’m still working on it. Getting OFF the pharmaceuticals. I don’t intend this post to be a pitch for any product, but I had to be honest and tell you what has been working for me. Please, if you’re battling the sugar wars, DO something about it. There is a LOT you can do. If you don’t, you will be old way before you need to be. Diabetes is not a fun way to die. Praying you all enjoy a warm and blessed day, remembering to be thankful for all the blessings–and trials–of the year behind us. I love Thanksgiving. It is a day that realyl does get me thinking about all that the Lord has blessed me with. I love writing my Bible study blog, learning so much and becoming more and more excited about the Bible every single day. I love my writing blog, just having fun and meeting lots of friendly people out there in cyberspace. I love my family, although too many of them are miles and an ocean away. I love the tradition of Thanksgiving, for all it reminds us of in the founding of our country as the early settlers struggled through their first year. I love friends, my church family, all who have become a part of my life. Right now, I’m especially thankful for the many helpful hands that are working to give us a new kitchen. It’s going to be fine for cooking the turkey, the potatoes and gravy. Lots of the mess is cleaned up from the living room, and I’m pretty sure we’ll have help from the family tomorrow to help us with some things. I love my job. Sometimes it’s hard, and it stretches me. But God always seems to show me the way, using His Word, to help me help those who come looking for ways to solve their problems. Mostly, I love my Savior. I love the God Who allowed His only Son to bear the burden of my sin, and to rise in triumph over death so that we, too, could have eternal life in heaven. That’s lots of thanks to give. 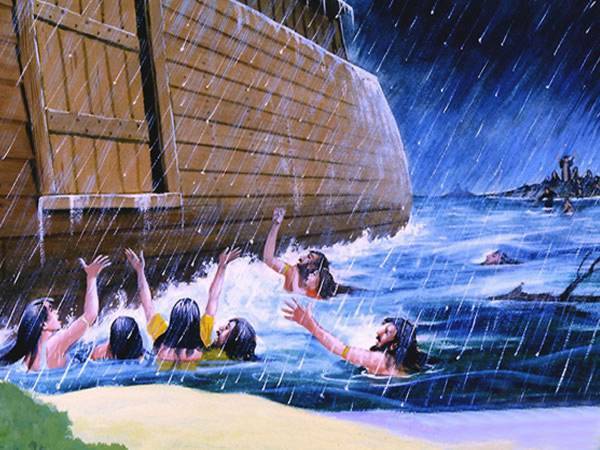 Noah faithfully built and preached for a very long time before God turned loose the faucets of the sky and the earth. Rain? What was rain? Flood? Really? “Riiiiiight, Noah. You preach it, fella. We’re just going to keep on partying and having a good time, and you go ahead with your weird little sons and their weird little wives. You gather up all the livestock and you just toddle right on into your funny-looking tub. They were given plenty, more then plenty, of warning. They were told exactly what was about to happen, but they weren’t listening. They weren’t concerned. They were having a great time, and they didn’t figure they were doing a single thing wrong. After all, they had good hearts, right? They meant well. And God would understand. He was supposed to be merciful, right? So how could a merciful God allow a “flood” to destroy the whole earth? Come on! Let the doom-sayers go live in their ark with all the smelly animals. I’m staying here. I’m really sorry I didn’t get to read too many of your posts today on the daily prompt. Incredibly busy day. We selected counterop, looked at tile for backsplash and floor, looked at sinks and faucets. Some people just love doing this. I don’t. After an hour or so, I’m ready to say, “Just send me one of everything!” I’m not a shopper, never have been. Then a friend came to help install upper and lower cabinets on the north-facing wall, and I’m delighted with the effect so far. The only cabinets left are the wall cabinets on the south-facing wall and the ones we’ll use for the little breakfast bar thingamabob. The counter can’t be measured and cut until all cabinets are installed. I will never understand why anyone thinks he can go against the clear teaching of the Word. Jesus said that not even the angels in heaven know the day nor the hour of Christ’s return. The man who made all this fuss and feathers was a highly regarded Bible teacher by many, many people. His arrogant insistence that he DID know what God says he COULD NOT know brought nothing but scorn and embarrassment to believers everywhere. It’s not the first time. Here is a list of many other false predictions. Satan will use every single thing he can to discredit Christians, to make them look foolish in the eyes of the world. 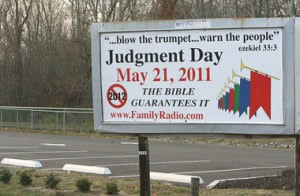 This I promise you: If anyone says he knows the exact day and hour of Christ’s return, he is lying. He may be lying while believing his own delusions, but he is lying. Do not follow him. Do not trust his preaching or his teaching. He is operating in total rebellion to God’s Word, and he is a false teacher. Can we preach and teach about end times? Sure! We need to understand what the signs are, and what they mean. The Bible says that all scripture is given by inspiration of God, and is profitable for doctrine, for reproof, for correction, for instruction in righteousness(II Tim. 3:16). Some believe it is a waste of time to preach doctrine because it is so “dry and boring.” Others believe it is unnecessary to teach about God’s holiness, but rather to emphasize His love, while still others preach the holiness of God to the exclusion of His love, mercy, and grace. Others refuse to study prophecy and the end times, preferring to focus on the right here and now. All of those positions are wrong. We are to study the whole counsel of God, not just the parts we’re comfortable with, or that we feel appeal to the popular culture. Jesus didn’t have much appeal to the pop culture of His day, after all. The whole counsel of God. Without it, we lose our balance, lose our way, and become prey to all the “newest” teachings that flood our world via the internet, radio, TV, print media, and so on. Hold up God’s Word above all else. Even the hard parts. Jesus said “This generation. . . .” He was not speaking of the generation among whom He lived and walked. He was speaking of the last generation living on earth at the time all these thing will be fulfilled. Of course there were disciples who believed fervently that Jesus would return in their lifetimes, but it didn’t happen that way. Every generation since has had believers who long and hope for the return of Jesus Christ. We are no different. What we have to understand is that all these things will come to pass within the lifespan of one generation, the last generation of people to live on the earth before everything changes forever. I love God’s promise in verse 35. 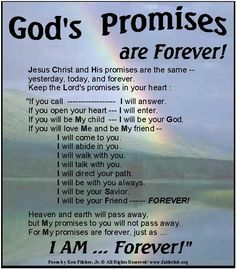 Heaven and earth as we know it will pass away forever, but His Word shall stand. No one, nothing, not Hell itself, can alter what God has spoken. Satan continues to attack, turning people against the Word of God, against Christianity, even here in our beloved country. He may succeed for a time, but the day is coming when even HIS knee will bow, and HIS tongue will confess that Jesus Christ is Lord!